Discover the world of Lego at Legoland Discovery Centre with an excellent 4D cinema and enjoy priority admission. Berlin truly is an amazing city. It has so much history. There is so much to see and so much to do. And the River Spree flows right through the city; East and West. So, why not see the sites in style? 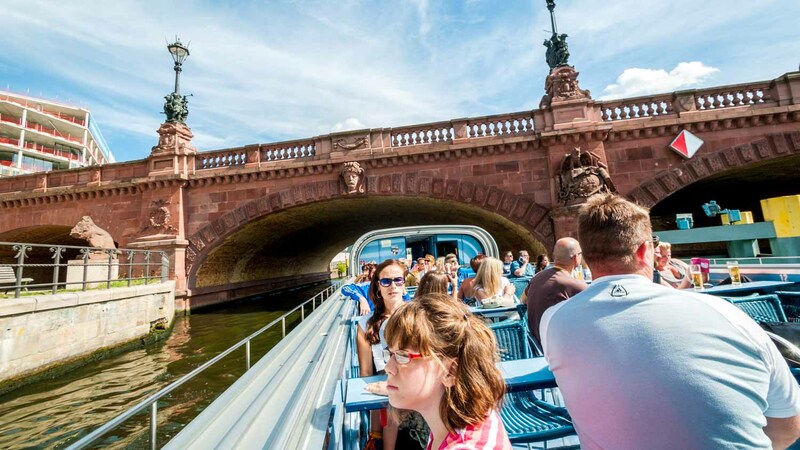 Here is some of what you can discover by boat on the Spree. A boat tour along the spree will help you see this wonderfully painted remainder of the Berlin Wall while missing the crowds. You can pass under this wonderful bridge from the water, and enjoy its fine architecture, as well as riverside views of the lush Tiergarten. Located in the Tiergarten, this palace has been the residence of the president of Germany since 1994. If you can see the presidential flag flying then you know the president is in residence. One of the most extravagant buildings in the city, the Berlin Cathedral is definitely one to tick off the sightseeing list. 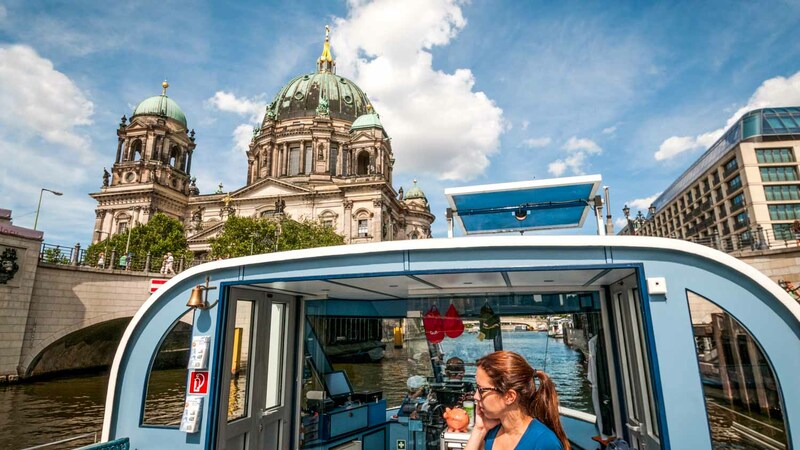 The Museum Island is a world heritage site and home to 5 of the top museums in Berlin. From the Spree you can see these magnificant buildings in all their glory! Spring and summer in Berlin are glorious. 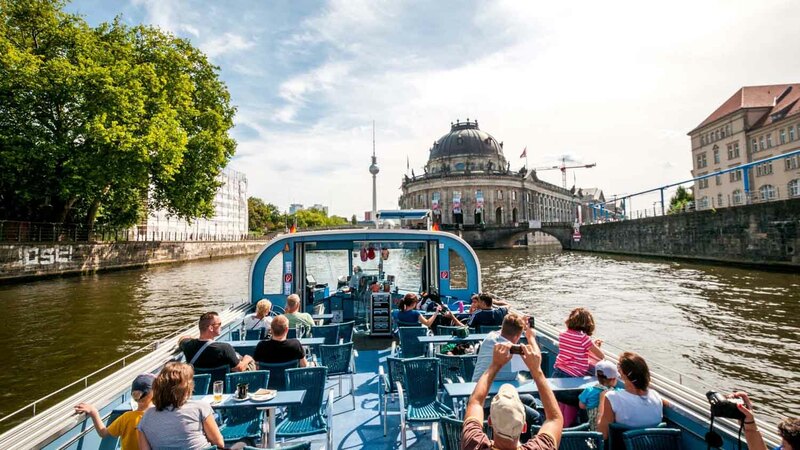 So from May-September you can enjoy clear skies and warm weather, which are the perfect time to cruise along the Spree. There are a number of different Spree tours avaliable, so you just have to pick the one that suits you best. Whether you want a full three course meal with the sights, or just a glass of wine to watch the world go by, it's up to you! Tour times vary by company, please consult individual schedules. Costs vary by tour type and length. Absolutely! Check out our best-selling tours. Tour starting points are located around the city, depending on the company you select. Leader Carrie was so friendly and knowledgeable. I heard a lot of new facts about Germany. The guide was nice and his speaking clear. He knows his subject and that is what I expect. All too short but very informative. 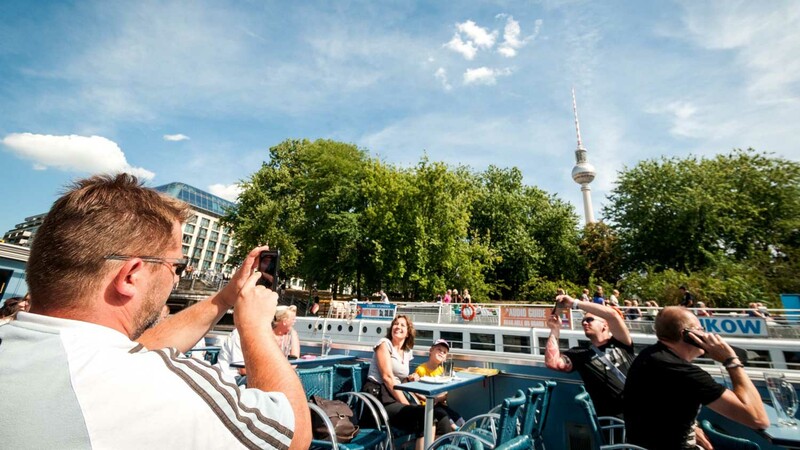 A great way to get a quick glimpse of Berlin. We had a great time on the boat, also the sun on the roof floor helped. The German audio coming from the speakers was a little hard to hear at times so you would probably get more out of it when booking the audio guide as well. The bar on board serves cold drinks but was a little overwhelmed because of the hot weather. Still, staff was super friendly and we had a good experience. If you want to see more than the main sights it's probably a good idea to book one of the longer trips. But this a great way to spend one hour on the water! We saw many of the ground level sights without the crowds. My wife loves being on the water, and this tour allowed us to see many of the sights we saw on land without the crowds and with a serene water setting. It was a perfect complement to what we saw from the TV tower, from which we got a lovely overview of the city. Many of the items we saw on the boat tour had been marked on the stationary window of the tower. We all (spouse, daughter, and 10 year old grandson (Luke) loved Berlin). The boat staff were all friendly and professional. When we got on the boat, we didn't know the tour had hand held English translator devices. I went below and asked, and they showed me where they were. If there was a sign, we all must of missed it.